Faded tablecloths and napkins can spoil the cleanest and best-dressed dining room. A recent survey found 89% of hotel guest were put off by dated linen, whether in their rooms or communal areas. Ivory-coloured textiles, for example – a popular choice for many hospitality chains – can fare particularly badly, fading almost to white over repeated washes, especially for items that have a high polyester content. Historically, the offsite laundry houses that serve 76% of hotel chains in the UK, as well as the majority of the healthcare sector, have often condemned such tired linen to rag or landfill. But increasingly, savvy service managers are now turning to specialist dyers to revive those items – making them look great, and perform well, for many washes to come. What’s driving the re-dyeing trend? There are two important factors motivating laundry houses to love their linen for longer – and seek more creative fixes for the faded, jaded tableware, bedding, towels and workwear passing through their washing machines and sorting systems every day. The first is money. Laundries spend about 10% of their turnover on top-up stock and a significant amount of this outlay is unnecessary when many items can be kept in circulation for longer. The second is the environment. Companies want to do the right thing in terms of reducing, reusing and recycling, as far as possible – and, increasingly, customers want to see evidence of this. 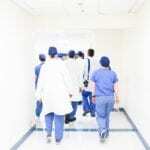 Hospitality and healthcare chiefs know that, increasingly, eyes are on their attitudes to waste, so anything they can do to demonstrate careful, considerate practice in this area is a good thing. As laundries work harder to avoid condemning linen needlessly, technology is developing to offer better, sustainable solutions to make this possible. Demand for re-dyeing services is growing – particularly for polyester workwear and tableware, given this textile’s particularly unsustainable nature. As a society, we need to minimise quantities of polyester thrown away, as well as levels of new manufacture. Where linen have plenty of wear left, and have simply faded from repeated washing, colour such as ivory, navy, wine – whatever the hue – can be expertly matched and topped up by specialists such as Regenex. Revived items, from tablecloths to towels, can then be returned to a laundry’s supplies as good-quality, viable stock that will serve its purpose well for much longer. A first option for stained or discoloured linen is to bring back the original white or light colour – a process that Regenex is successful in achieving for 75% of the dirtiest of linen. But what about items that are still strong and serviceable – without holes or fraying – but are heavily marked, beyond rescue? Increasingly, such items are now not being sent to rag or landfill, but re-coloured in a darker or richer colour. 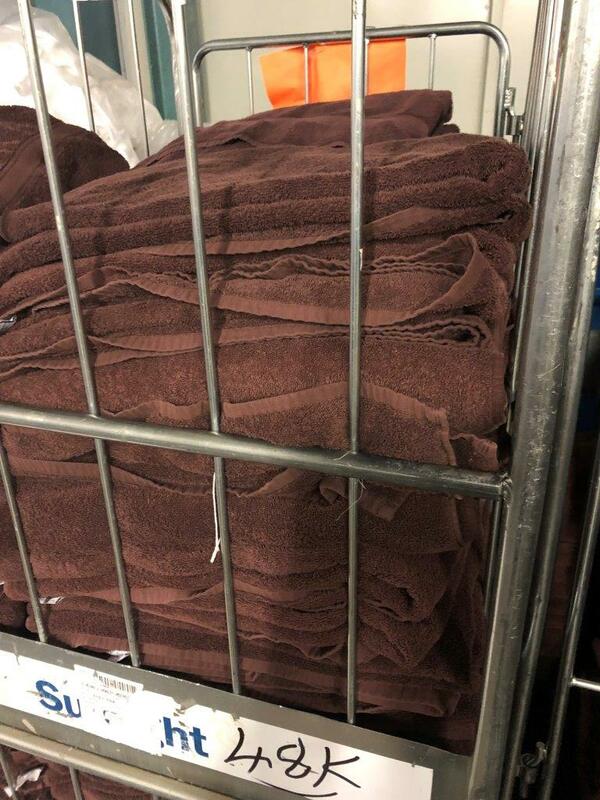 A good example of this process working well is towels in dark shades such as brown, slate or aubergiene, for spa facilities in hotels. Finally, lower-quality linen that are no longer suitable for guest or patient use, can still be diverted from the bin – and dyed yellow or pink for a new lease of life as cleaning cloths. As the UK becomes more eco-conscious, and companies continue to sharpen up on cutting unnecessary costs, our prediction is that for a business, the casual discarding of textiles, before all other options are explored, will become anathema. Those getting ahead of that curve, establishing good habits now, will reap dividends later. If you would like to talk to Regenex about your re-dyeing options, contact us today. © 2018 RegeneX. Website by Cool Hand Studios.